Roy K. Farber grew up on a ranch in the mountains of Northern California, acquiring solid rural val­ues. He graduated with a BA in Rhetoric (communications) in 1973 from the University of Califor­nia at Davis, and then a JD from Hastings College of Law in 1976, and was admitted to practice law in California that December. For the next 4 years, he was a civil and criminal trial lawyer throughout Northern California. He left in 1981, moving to Grand Junction. He was a freelance para legal for the next year, took and passed the Colorado Bar Examination, and was admitted to practice law in Colorado in May of 1982, opening his first office and working here ever since. He practiced general trial law, both civil and criminal, but gravitated into this one area of law, and has exclusively practiced Domestic Law since 1994. He explored the San Juan Mountains in 1964, and was present for the dedication of Canyonlands in ‘65. In ’70, he drove the ranch truck with a buddy over every back road they could find on the western half of the Navajo Reservation, doing field research for a UC Davis professor. Then, for the remainder of his time in Davis and while attending law school, he was out here every few months and in all seasons. 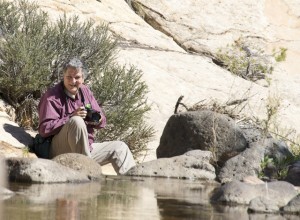 He first visited Grand Junction in 1975, while a tour guide in the Can­yonlands. He trained to be a civil trial attorney in Northern California, specializing in Personal Injury Litigation. But he also did a significant amount of Family Law work, at a time when that area of law was really changing. He had a knack for helping people who were in emotionally difficult situations, but he never intended to specialize in the field. He continued his Family Law work after moving to Grand Junction: by 1990, about 75% of his practice consisted of Domestic Law cases, which he enjoyed more than other areas of law; that grew to 95% by 1994, when he ceased practicing all other areas of law and devoted himself solely to Family Law issues. He has been doing nothing but ever since.